Plasticland throws us another adorable scooter-centric fashion accessory. 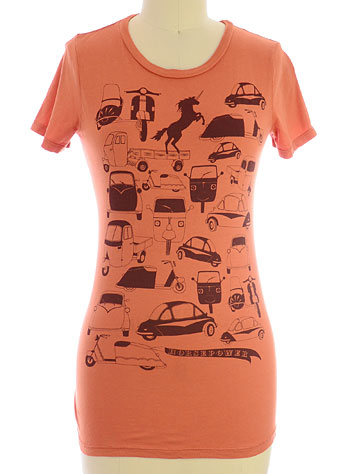 This shirt features all kinds of wonderful modes of transportation like scooters, microcars, tuk tuks and unicorns(?!) It’s a ladies tee that comes in S – XL and runs $34.